Tis’ the season to be fabulous! I love the atmosphere of the holiday season. It’s a magical time for food, family and friends. And let’s be real…. it’s time for gifts! It’s always better to give than receive. So, here’s CitySTYLE’s gift giving guide for everyone on your list. 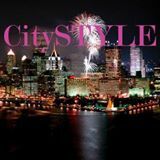 Holiday Gifts by citystyle412 featuring adidas shoes Accessories and Gadgets Accessories and gadgets are perfect gift … Continue reading CitySTYLE’s Holiday Gift Guide! Hello November! Look of the Day -Sweater Dress Fabulous! It’s November! CitySTYLE’s Look of the Day is all about a celebration of November! Sweater dresses, booties, and a fly jacket make for an awesome first day of the month look! We hope that you are inspired! #November #fallfavorites #lookoftheday Hello November! by citystyle412 featuring a man bag Continue reading Hello November! Look of the Day -Sweater Dress Fabulous! This look is a perfect mix of denim and a soft flowing dress. Let’s not over look the fabulous over the knee boots that bring the look home giving it the perfect edge for fall that’s flirty and fun! Fall, Flirty and Fun! by dssully featuring lana earrings Alexander McQueen shirt dress marissacollections.com Balenciaga button jacket $1,010 – net-a-porter.com Jean-Michel Cazabat jean michel cazabat boots farfetch.com … Continue reading Fall, Flirty and Fun!